New Runners - Old Runners - Experienced Runners - Beginning Runners Sharing.Inspiring.Encouraging.Training.Tips.Advice.Highs.Lows.Sweat! Just a quick Hello! I am only on a few hours sleep right now and am thinking of heading back to bed. 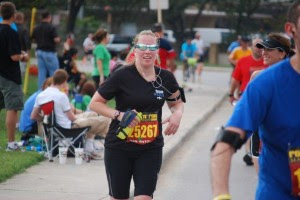 I want to resurrect this blog and resurrect my running! I was chatting with some Twitter friends about a challenge of 365 days of running in 2011. Too extreme? Too crazy? I am hearing from my experienced runner friends that it is too crazy! I am getting feedback that it should be some type of movement everyday or go to some type of weekly goal. Tell me your thoughts! Share here and share on Twitter - use the hashtag #momsrunning so our whole Twitter group can follow along. At first I was not fast but all hunched forward. I felt stupid and like I would fall over at any moment. I talked to my husband about it and he helped me sit back into my run. Now I feel more that Rocky. Ya know the scene when he runs and punches? That's me. Slow and steady. I can not say enough about the C25K program. It eases you into running. You warm up. You walk. You run. Repeat. Cool down. It prompts you "You are half way through" "5 minutes left". Your running time gradually increases. I highly recommend. You can learn more about it here. I'm enjoying it. My ankles are holding up well. I read this article today that I think explains why. I don't think I could have run so effectively without getting into shape first. The 30 Day Shred whipped me into shape, strengthened my core and legs. find someone to hold you accountable and to encourage you. I run by myself but I text and/or Twitter about my runs. People want you to succeed. Well, normal people do anyway. I run in the early morning so I let my husband know how long I'll be gone and my route. That way he knows when to worry. I didn't load up on gear. I run in the shoes that I did the 3 Day in. And I had cold weather gear from the 3 Day (thank you Buffy). But I did buy a think that straps my iPhone to my arm. You know, I wasn’t one of those really sporty kids – at the age of two I was diagnosed with asthma when my left lung collapsed. What I learnt through being an asthmatic is that as soon as breathing gets hard, best stop. This didn’t necessarily stop me from playing sports, but it did stop me from being good at sports. I played hockey, softball, cricket and enjoyed cross country running at school (couldn’t have been more than 5km). I certainly wasn’t a fast runner, but at the age of 15 I think I just had more interest in it then some of my cooler friends. As a teenager I joined the local lifesaving club. Please don’t be imagining some bronzed Aussie on a surf beach! I joined the local bay beach club. We spent our weekends driving around in the boat and practicing to rescue people because we didn’t get any real emergencies other than kids who had cut themselves when hunting around the rock pools. It was a lot of fun for a teenager - running, swimming, sun tans and did I mention driving the boat?! Also the illicit, childish love affairs thanks to all the hormones…. I guess I got quite fit during that part of my life, but then I finished school, got a job and become relatively sedentary (other than the nights out at clubs where we danced until 6am). I played cricket with one of my sisters only because she guilted me into it and continued being a wicket keeper (best position on the field!) until I was pregnant with my first child. Then it happened. Things had already been getting a little less taught and terrific and a lot more blurred by the beautiful life I had. Pregnancy was fine the first time around – didn’t put much weight on and slimmed down within weeks of the birth through no real effort. Then I started EATING! The breast feeding made me hungry and I had to fill this insatiable need to feed my face. Yada yada yada. Cutting a long story short, two kids and five years later I was a good 15kg over what I had been BC (Before Children). I had tried going to the gym (hate it), and made some pathetic attempts at running with the dogs instead of walking them, but none of it really worked and I didn’t want to give up my food and alcohol. Then I had an epiphany. I was chatting to a mum at swimming lessons, as you do, and she was busy showing me her feet that were absolutely wrecked because the week before she had run the Half Marathon at the Melbourne Marathon Event. And I thought, bloody hell, if she can do it, so can I! She talked about the late Kerryn McCann’s training plan and the group she had been involved in for training. I thought long and hard about it and realized that my brother had been doing a lot of running as well, so I spoke to him about it. I figured that my brother and I have the same genes and if he can run a half marathon (or three), then I can! OK – let’s clarify, he is 6ft 4 and strong….. Don’t let little details get in the way of your aspirations I say. So, December 2008, I started talking big in the playground. I told my husband and extended family that I was going to run the half marathon in October 2009. I could only run for 12mins at a time and I have no idea how slow I was, other than, very. My brother was amazing. He bought me a subscription to Runners World magazine and told me to text him my progress. This was sensational considering my own husband was rather doubtful of my ability to commit and follow through on my claims. It is not that I am one to give up, but more that I am REALLY others focused. I always put others’ needs in front of my own. I don’t know why, I always have, and on some level I believe that it is a nice attribute to have to care about others more than myself. What this means though, is I haven’t always done exactly what I wanted to do and that I haven’t always been able to follow through on my desires. I think many mums are in this position. This is why I love running. Once I decided to train for the half marathon, I had to change the way I operate. And about time too as potentially I could have started to raise a couple of brats. I started to put my needs and wants at the same level as others and start working on how I could get them. I have to say, my husband was very supportive of my training plan even though he was doubtful of my ability to follow through. My first event was the Mothers Day Classic in May 09. An easy 8km event. My brother agreed to run it with me which was really touching considering that it was a very short run for him comparatively and I ran VERY slowly. I told him to run his own race, it was just good to have him at the start line with me for my first ever race. He didn’t. He stayed with me the whole way and ran the same incredibly slow time that I ran. He encouraged me, provided support and I just loved having that quality time with my baby-brother. I felt connected to him again. Then the hard work began. I had to start running harder, faster and longer distances. I kept at it and began to realize that I actually could run and feel puffed and that was ok. I learnt that I could ask my husband to sacrifice his gym time in order for me to meet my training plan. I learnt about fuelling, stretching, rest days and all the different leg muscles. I think the fact that I had a training plan and it was clearly visible on the fridge, really helped me to get the support and motivation I needed to stick to it. I also could stick to my change in behaviour of putting my needs as far forward as everybody else’s. There were a couple of hiccups on the way. An injury eight weeks out (ankle and knee), but get this, I learnt how to run with pain – a first for me. Of course I had it all checked out and the long and the short is that it was soft tissue damage so therefore I wouldn’t be creating any long term issues for myself. I just had to warm up before I went out and ice it when I got back after stretching. I got tonsillitis the week before the big race and was in tears thinking that I wouldn’t be able to do it. And I have discovered the amazing meditative ability of running. Being able to put everything in perspective and to truly believe that we ARE all enlightened beings as espoused by Buddha, and that we just have to stop blocking. Running gives me time to reflect on the tasks I have to get done, to day dream about the beautiful beach house I would like one day, to consider my relationships and what I can do to improve them. I also take that time to clear out my frustrations and get a better perspective on life so that I am calmer and more relaxed with my children. Just the fact that I am ALONE for half an hour is amazing. I feel so free and unfettered when I run. It is magic. So what now? Well, I am planning on doing three half marathons this year – yes, you read correctly, three. And my goal is to do one of them under 2 hours. I find having a race goal gives my running a focus that ensures I fit it into my family’s plans. Now if I can muster up the stamina to do three half marathons and achieve my sub-two hours goal, I am looking to treat myself to a trip to the U.S. to run in the Disney Princess Half Marathon in March 2011.... and perhaps meet some of my new #momsrunning friends. Who’s in? Oh, and in my dreams, I am a Kenyan. Guest Blogger: Rosalinda Batson is a Mum of 2, Co-Director of a business focussed on professional and personal development. Passionate about organisation culture & change. Oh and a runner! Four months after I birthed my second baby I decided to train for a marathon. A lot of my friends were signing up for the Half marathon. As I was searching for a Half training schedule I came across a training schedule for the Full. I looked at that schedule and thought, "I could do this." After talking to a few folks I decided to take the plunge and run the full 26.2 miles. I always wanted to run a marathon and my impending 30th birthday sealed the deal. Breastfeeding while training became an issue for me. I could get up and run my short runs before my baby woke up to nurse, but it was a lot harder when I had my long runs. I don't make enough milk to pump. I eventually decided to supplement formula on the few days I would be gone for more than 3 hours on a long run. Thankfully this option worked for me and my son. I completed the Rock n' Roll San Antonio Full Marathon with a time of 5:08:59 after four months of training. Here are five lessons I learned about training and running a full marathon. 1. You absolutely need the support your spouse, family, and friends. My husband agreed to take the time to watch the kids to support me in my life goal. Also, I absolutely could not have done it without the virtual support of my friends who were also running on race day. Four of us decided to blog all the details of our training on a common blog called, All These Things That I've Done. We even wore matching "Team A.T.T.T.I.D" running shirts on race day. I also loved making new friends with other runners on Twitter using the #momsrunning hashtag. 2. Training with a group is best. Unless you are blessed with wonderful running trails with loads of water fountains or you like carrying gallons of water while running. I only ran my long weekend runs with a group, but I loved the camaraderie and tips from the running coach. My group had water stations every 2 miles and arrows on the road made of flour. It was great not to have to worry about the course. 3. Great socks, shoes, and Body Glide are your best friends! I spent $10 on a pair of Balega socks and my feet thanked me every time I wore them. When I got fitted for my shoes they told me to get a 1/2 size larger than I normally wear. Body Glide comes in a deodorant-like tube and keeps your skin from chaffing. I used it under my sports bra straps, everywhere the sun doesn't shine, and under my iPhone armband. Love that stuff! 4. Training for a marathon & breastfeeding at the same time doesn't mean you'll lose weight. In fact it tricks you into thinking that you can eat more and a large nightly dessert is nothing. While training your body is hungry all the time, but unfortunately you still have to watch what you eat. A celebratory dinner and dessert after a long run is probably okay if you want to splurge. 5. Always be able to answer the question, "Why am I running a marathon?" Training for a marathon is almost as mentally exhausting as the physical part. You have to be mentally strong to tell your body to keep moving. At some point your body will hurt and your mind will wonder, "Why am I doing this? That bench over there looks great!" I found that having an answer ready ahead of time helps. The answer for me is very prideful, but I don't care because it kept me moving. My answer was, "I want to tell people that 8 months after having a baby I ran a marathon!" I couldn't not wait to put that in my Facebook status. It was an amazing experience! I will definitely be doing another one in my lifetime. If you are considering running a marathon - YOU CAN DO IT! Keep up with the training schedule and will do great! Amanda is a stay at home mom of a 2.5 year old girl and a 10 month old boy. You can find Amanda blogging at TeamEspinoza.com and TheMomCrowd.com and on Twitter @AmandaEspi. Hi, my name is Nicola and I AM a runner. Honestly, until recently I had never thought of myself as a runner. Yes, I had run (more like jogged or shuffled) off and on in the past, but I never considered myself an actual runner. What defines an "actual runner" you may ask? That's a good question. In my mind, my belief was that an "actual runner" ran on a regular basis, liked running, could run without stopping for 30 minutes or more, had the running gear, had the running body (what's that, anyway? ), they ran with other runners and talked "running" with other actual runners. Since none of these things described me, a runner I was not. There. I said it. I. Am. A. Runner. What changed, you may ask? 1. I connected to a greater vision/purpose then just exercising. You can blame this one on my step-mom. She is an avid "actual runner" herself. In fact, she's a multi-time relay and marathon runner. All those things I described above: those are her. In a wine-induced, post-partum haze moment, I agreed to run a half-marathon with her. It's local. It's a flat run. It supports a great organization (Girls Inc. of the Island City). And it's still six months away. Close enough to motivate me. Far enough to seem like I have a good, long time to get ready for it. Getting out to run on a regular basis for the benefit of exercise alone just hadn't worked for me in the past. I would get motivated for a few runs and then lose focus and easily give up. Having this greater vision and purpose to run a half-marathon and support an organization which I believe in (and was once on the board for) has not only helped me get out the door on days I don't want to, but it has be focused on a bigger, more inspiring goal then just exercising. 2. I created a plan that feels right for me and that that I can get excited about. Most importantly, if feels doable. It's broken down by weeks and days so that I can focus on the small steps to reach the bigger goal. The idea of running 13.1 miles seems crazy and scary to me. However, seeing the training schedule and learning some techniques from others who have come before me makes this all feel less crazy and scary. The key is to learn what you can from experts and others, but to then take that and create what works for you. You get to do this on your own terms, but know that just like all things, having the insight and guidance from others who been-there-done-that can help you in ways you may never have imagined, but it only helps you if it works for you. 3. I started "acting as if" I WAS a runner. When I've worked with clients who want to change a habit, like stop smoking, I ask them to think about what non-smokers do and don't do differently then smokers. They don't take smoke breaks, they don't buy cigarettes, they check off "non-smoker" on forms. I realized I needed to do the same thing with running. I already had my ideas of what "actual runners" DO (see my definition above), so it was easy for me to get in that mind-set. Once I got a few runs under by belt, I had a sense of what type of running clothes I'd like and went out and bought some; my step-mom gave me some of her running magazines, which I've actually enjoy reading; I found a running partner; I joined the #momsrunning Twitter running group; and most importantly, I started telling myself and others that I was a runner. 4. I enlisted accountability. I had an immediate accountability partner with my step-mom, but we don't live close enough to run together and I knew I would need to expand my accountability circle if I was really going to go through with this. I posted my goal and commitment on Facebook and have gotten much encouragement from others. I also started Tweeting about my runs, which led to the introduction to the #momsrunning group, which has been a source of great advice and support, and as I mentioned before, I found a running partner. A running partner is great to have to keep you on track and motivated, especially on those days when you are struggling to get out the door or run just a bit further. 5. I am going slow and easing into it. Okay, I'll admit that my over-achieving, highly-critical, perfectionist gremlin (am I the only one who has one of these?) decided to show up when I started this endeavor. I went out running three days in a row. With only one run under by belt over the past nine months. Expecting to be able to run 3 miles straight. Without stopping to walk. Or without feeling like I would die. Um, a bit of insanity on my part? No, it was just the gremlin talking. I kicked that little guy to the curb after that first week and have now realized that easing into running longer distances is the key to success. I've also learned-with the help of the Twitter #momsrunning group-to let go of my limiting belief that to be an "actual runner" you have to be able to run the entire time…without walking…for not just the first three miles, but the remaining 10.1. That felt very daunting. I am now doing a run/walk combo that I am really enjoying and that allows me to actually go longer because I feel better throughout the run. I am currently running 10 minutes and walking 1 minute, repeating this for at least three cycles. 6. I am listening to my body. And, honestly, now that I am running more regularly, my body feels it when I don't get out for a run. So, not only am I learning to listen to my body when I do run, which means slowing down or stopping if something is painful, but I am also listening to my body more when I am not running. I am realizing that my body really wants and needs the activity-physically, mentally and emotionally. 7. I am pushing myself, even when it feels uncomfortable. Not when it feels painful, but when it feels uncomfortable. Again, this is about listening to my body and understanding the difference between physically needing a break versus my mental blocks that may be sabotaging my goal to finish a run. Anytime we are stretching ourselves and working towards creating new habits and reaching big goals, there is going to be discomfort. The key is recognizing when that discomfort is simply a time to stretch yourself to push through versus slowing down or even stopping to determine if something needs your attention before proceeding on. 8. I am celebrating the small steps. It's easy to down-play the small steps and accomplishments. Yes, I got out the door for a run, but….I walked part of the time, I was slow, I didn't feel good, I should have gone longer (damn that gremlin!). But the truth is that some days you get credit just for getting out the door. And when you get out the door and you get a run in, especially as a busy mom, it's an accomplishment worth celebrating. With my greater vision and purpose of the half-marathon, I am able to stay focused on how the small steps will lead me right to that finish line in June. And because I am now a runner, I know that finish line isn't the end of my time as a Mom Running! 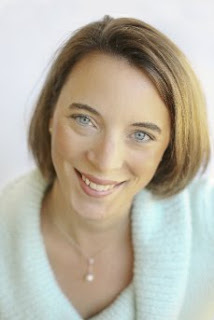 Nicola Ries Taggart, The Executive Moms Coach, creates and leads programs that support women who are business leaders and owners, as well as moms, be their best in both worlds. Nicola knows that having a successful and rewarding professional life and a fun and fulfilling personal life is possible when you are willing to create a life you love, on your own terms. Just went for a 20 minute brisk walk before dinner in the cool crisp fall air! My ideal time to work out is actually before dinnertime. I am a stay-at-home mom with a toddler + 2 school aged kids. I like to re-connect with the big kids when they get in from school and get dinner cooking and then go out to workout before dinner. It helps me to transition my day from being home all day with the little one and into the evening family routine. It gives me a chance to clear my head and get some fresh air and to be alone for 30-60 minutes depending on my route. Then I can dive into dinnertime, homeworktime, eveningtime, and bedtime. It lets me think about my day and plan my evening of what I need to do after the kids are in bed. Do I need to wash their school uniforms? Do I need to do a client bid? (I am a work-at-home mom too) Do I need to layout some custom rhinestone patterns? Do I need to package up internet orders? So much to think about and process ! My friend Lara, The Mom Biz Coach, suggested that I use the voice record option on my MP3 player when my list is too big or to use it during my cool down walk after a run. Then I can play at back after I get all the munchkins to bed. This has been a great tool 'cause you really can't take pen and paper on a run or walk. I have to say after this cruddy summer weather-wise I am really enjoying the brisk fall. It was a bit cold the other night and a bit winter-like but I hope it will stay in the 40-60 degree range for a while. When is your favorite time of the day to run? When is your favorite time of the year to run? Does anyone have any fall races coming up ? Whoah Mama! What was I thinking! I can barely sit here right now to do this post! I am so exhausted. I went crazy working out today. Got up at 5am - okay well the baby woke me up at 5am. I didn't wake up on my own free will as I am soo not a morning person! After I got baby settled by 5:11am I decided to drag myself out of bed and somehow put on my workout clothes. I wrote my husband a note - I didn't even tell him I was going. I didn't want to say I was going to do & then not do it after SAYING I was going to do it. So, I left hubby a note that I would be back at 7:30am or 8:00am & to call me if he needed me. There is this 6am spinning class at the YMCA I have been wanting to do for months - Mondays, Wednesdays, Fridays. I somehow got to the Y before 6am to find out that the spin class is now 6:30am. So, I headed upstairs and did some warm up biking and walking around that track. As I was walking around the track this very fit 50-60 something lady was there lifting some weights in her sports bra and hot shorts with a great body. Before she left the room she went to the pull-up bar & did full out pull-ups! I walked into the spin class 6:25am and the hot pull up mama was our instructor ! I have taken Spin Classes before and really enjoyed riding with a group of people in a room with super upbeat music - noone gets ahead of you & no catching up. I have loved the instructors motivating you through 60 minutes of a super workout! Well, as I may have mentioned before I am not a morning person and I don't talk much the first hour or two I wake up. This instructor was NOT motivating and encouraging at all. She was shrill and brow beating. Not, "you can do it! only 10 more seconds at 80%", she was more like "come on, stay up there, don't you stop!". It's just not my cup of tea. Reminds me a bit of The Biggest Loser - I couldn't work out with Jillian. She is more a brow beater than leader and motivator. Bummer - 'cause the people were fun and the activity I enjoy. Though a couple other wanky things she did is she had us get off our bikes and do these crazy holding squats - squatting for 30 seconds or 60 seconds. Huh? I have never ever done that in a spinning class. Then, she wanted us to get of the bikes at the half way point and go across the hall to the gym to jump rope. Huh? What? Well, I left at that point as I wanted to get home by 7:30am to wake up the household to get ready for school. Side note: I was spinning behind two very fit women. One with with the body I had before kids and the other with the more realistic body of what I hope to have after kids. Still, was very motivating to see my past body and future body right in front of me while working out. Then, I watched my girlfriends 21 month old toddler for the day - little Emma is only 1 week older than my little Jon Jon. They are a hoot & tons of fun - but boy do they have lots of energy. They only gave me one 1 hour nap - I was hoping for at least a 2 hour nap or two 1 hour naps. Later that evening, I went to a Women's Running Clinic I signed up for 8 weeks ago. I left the house at 6pm and the class ended at 8pm. It is great working out with 40 other women. All types, all sizes, all fitness levels & most importantly always someone to run with and chat. Now, that Leader is super motivating and ONLY has positive things to say! Then, crazy lady Melissa (me) had a Tennis Class afterwards from 9:30pm to 10:30pm and we actually played until they kicked us out at 10:45pm. I was soo out of energy the last 15 minutes, the racket was feeling too heavy & I was missing shots. This is an advanced intermmediate class - so no messing around and no beginners here. I did stop and eat a salad and have a beverage between the running clinic and tennis class - but that wasn't enough - I needed to get some protein in there because that salad did not sustain me through the tennis class. Well, something's gotta give. I am going to ditch the spinning class on monday mornings. There is one on Monday afternoons, but I would have to take 2 toddlers with me - though they have baby daycare. I think I will call first to find out if it's the same instructor. I paid for the Women's Running Clinic and really love that group & the only other clinic I could take at my beginner level is the 5K training class - but it is on Friday nights. Friday nights are preserved at our house as Lierman Family Fun Nights - with board games, card games, wii, rockband, pizzza, pop, pjs, popcorn, and a movie! I paid for Tennis too & LOVE my instructor - he is awesome! Tennis, hum, maybe I will call tomorrow and see if there is another night for tennis that doesn't conflict with kid's and husband's (hubby is a teacher and a coach) afterschool activities. I have soo much work to do tonite, but its 1:06am and I am soo toast. I can barely keep my eyes open, but I wanted to download this post while it was fresh and I was feeling it! Any bets on how sore I am going to be tomorrow & how funny it will be to see me with my sore legs hobbling down the stairs in the morning! Anyone wanna wake me up tomorrow ? Where Have I Been? August has been a busy month for me ! How do you keep Running when Life Happens? August has been quite a month for me! August 10th we closed on a house that I wasn't expecting to buy - a cute fixer upper ranch for $153,500 at 4.09 financing - we felt we couldn't pass it up even though it is a whole year early before a game plan. My poor sweet baby Jonathan who is 20 months old sorta fell off the bed and slipped on a Sports Illustrated (not mine!) and fell on top of a metal book light that happened to be on the floor instead of night stand (not mine!). In this freak accident he cut above his lip, below his nose & had to go to the Emergency Room to get stitches (worst mom experience - 3 adults holding a poor screaming baby down while he is yelling "No! Hurt!" - they needed a 4th 'cause he was sooo strong!) and in the next week went back to Urgent Care and ER multiple times to deal with stitch that came out after 1st day and high fever. End result is that we have a consultation with a Plastic Surgeon next week to discuss options which most likely will be surgery to repair 6 months to a year out because they can't do anything now 'cause wound is so old you only have a 48 window to fix these things. Now, they have to wait for it to scar over & then they will cut out scar and repair. I wouldn't go through all this if it wasn't on my poor handsome, cutie's face! Give me an arm, Give me a leg, and Give me a scar - totally different story on your child's face. Okay so other personal - totally too much information - just getting my periods back since birth of baby and they are horrendous - 2nd was better than first - first I was bed ridden for 4 days, 2nd I was only bed ridden for 2 days - but any either scenario - no running for a week! NOW, I have mastitis! Holy Moly! For past 7 days while dealing with the Jonathan crisis I have barely had 3-4 hours sleep at night with ER visits, high fevers, baby crying, etc... And I was in the process of weaning him - to see if we can be done nursing by the time he is 2 years old (we are discussing if we are going to have 4th child before I turn 40). So, nursing has been erratic during crisis week because I threw weaning out the window with all of these distressing hospital visits. So, nursing pattern immediately and dramatically changing, me sleep deprived, run down, and exhausted, and germ-o-rama sick people all around at Urgent Cares and ERs = Mastitis for Melissa ! I am bed ridden today and tomorrow. My husband, dear husband took all three kids on a road trip today to spend the day with our best friends and their family & may even spend the night. I opted out and am here at home alone. I wish they had a movie place that delivered movies! Ooooh... that's right we have on demand movies through our cable company - chick flick - here I come! So, my question to all my experienced mom runners - How do you keep running when life comes at you fast and furious? I think that is my biggest problem. Life is Life and things will always be coming up and happening - How do you make sure you are still fitting in Me-Time and Running Time? Running Log - Ran 62:22 Today - 2nd Run of Day! 2nd Run of the day! Whoah Mama! What am I thinking? I joined a Running Clinic coordinated by one of the local Running Stores in town called The Running Room. I wanted to join the 5K clinic because I have already done the previous clinic called "Learn to Run", but the 5K clinic is on Friday nights and that is a sacred Family Night in our house. Our Lierman Friday Family Nights are filled with fun activities like card games, board games, crafts, pizza, pop, popcorn, pjs, sleeping bags, and ends with a family movie. Once a month we invite another family to join us for the fun & they bring their pjs too! So, there is no way that I could do something on that night. So, I tried the 10K group and we ran 6K+ on this first night of the clinic and it took everything I had. First off, I find when you run with a group it's hard not to run faster than your normal pace. After about 2K I started moving towards the back of the group with Team Turtles. By 5K we turtles couldn't even see the mid-pack let alone the front pack of Gazelles. I Ran 34:44 Today. I went to bed early last night (for a night owl) and was woken up at 5:29am by the baby. I decided that after getting the baby back to sleep rather quickly that I should stay up and go for a run like all my mom running friends have been reccommending. I have so been resisting morning runs because I am so not a morning person and often go to bed at 2am. Guess what? This run was AWESOME! It's been so bloody hot and humid, like August always is in the Midwest - and it was gloriously cool this morning. It was beautiful and peaceful too! My first 10 minutes are usually the hardest and I often look at my watch 3 or 4 times those first 10 minutes even though I have a timer set & I didn't even feel like it this morning. It was a wonderful run followed by coming home to my husband waiting at the door to go to work - he needed me home at 6:45am and I was back at 6:44am - we passed the baton and my kids slept for another 1.5 hours! What an additional incentive! Okay you morning Mama Runners - You are Right! Running in the morning is Great! Now, can you come to my house at 5:30 am tomorrow and get me out of bed? We are Women, We are Strong! We get out there and do it! We help each other out, we run together, we share together, we sweat together! We have a Virtual Running Group on Twitter = #momsrunning. How can you participate in this virtual running group? Tweet on Twitter everytime you run - daily runs, fun runs, stroller runs, girlfriend runs, & races. At the end of your tweet type "#momsrunning" without the quotes. How do you follow this group on Twitter? Type "#momsrunning" in the white search box located in your right hand column and all recent tweets from our group will show up. Save this Search! How? After you type in "#momsrunning" in your white search box and look at all those recent tweets from us running chicks - in the big white middle box where all those recent tweets are listed - look at the top. To the right of the phrase "Real-time Results..." will be a green circle with a plus sign and the phrase "Save this search" - click on those words! Now, this will be listed in your right hand column under "Saved Searches". You can click on this anytime to see what us running girls are up to! Do you know what those numbers on your Fruits & Vegetables Mean? ~ I want to run the Detroit Free Press October Marathon by the time I am 40 years old in 2011.